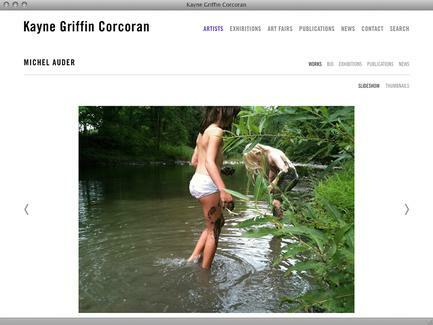 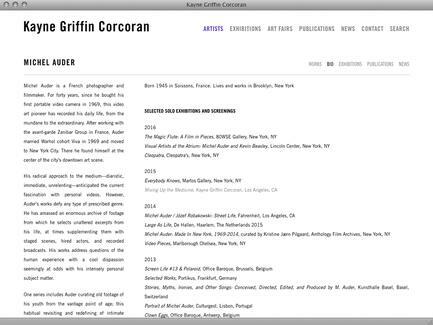 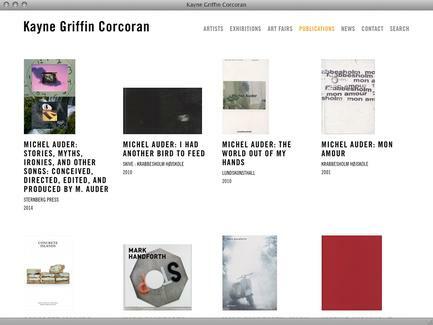 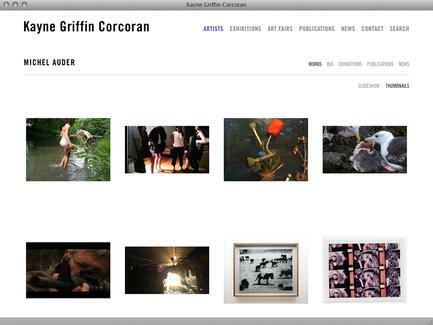 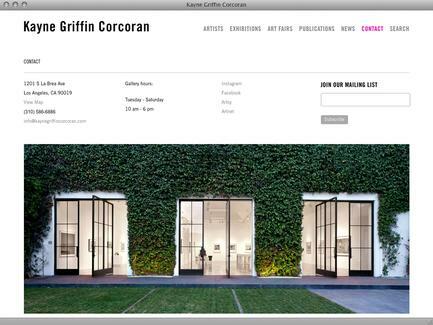 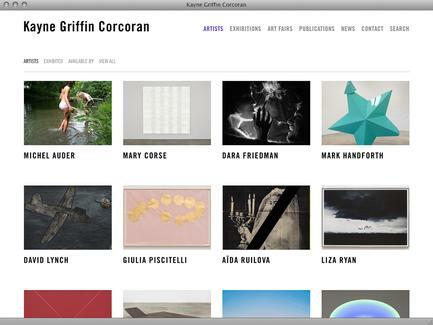 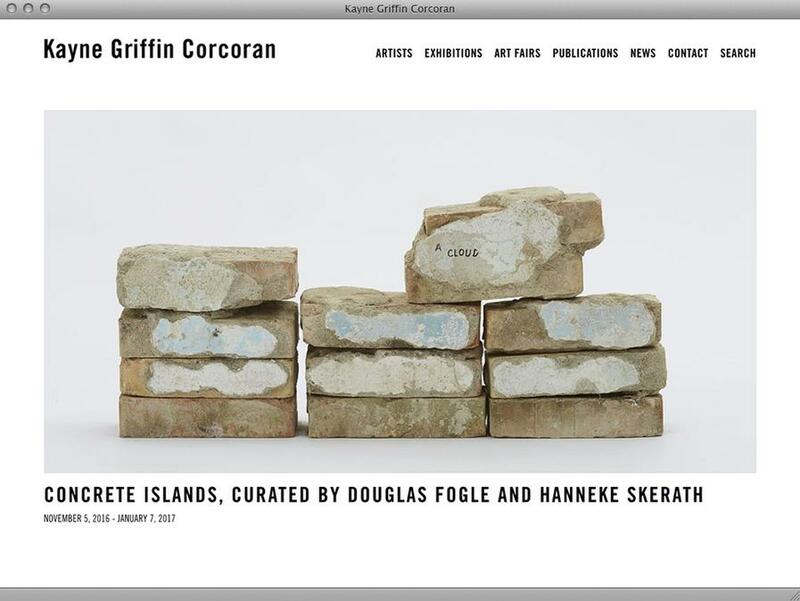 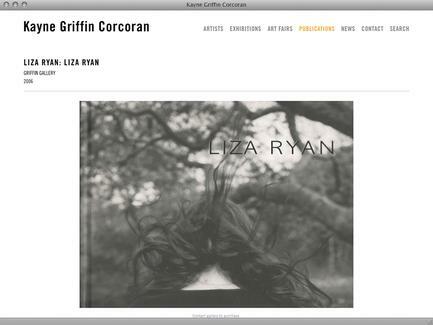 Located at 1201 South La Brea Avenue in Los Angeles California, Kayne Griffin Corcoran was formed by partners Maggie Kayne, Bill Griffin, and James Corcoran. 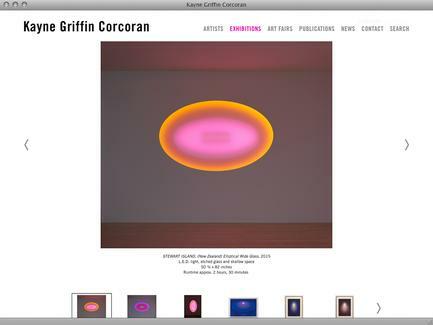 The gallery was remodeled from the ground up by Standard Architecture and James Turrell. 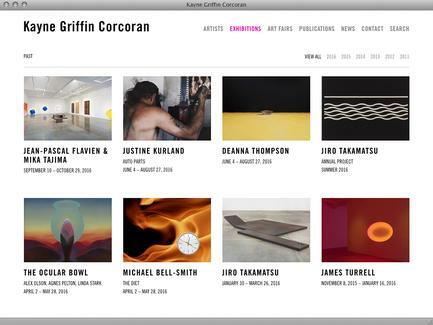 What was once a 1940s automotive-repair shop now houses over 9,500 square feet of interior gallery space, a nearly 5,100 square foot courtyard, and the Turrell Skyspace La Brea Sky—the only publicly viewable Skyspace in metropolitan Los Angeles. 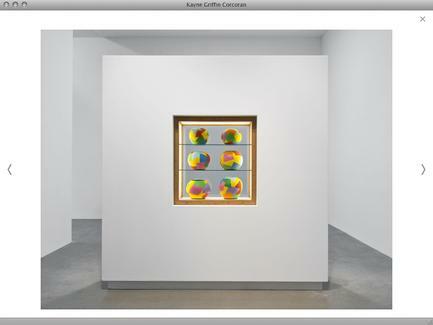 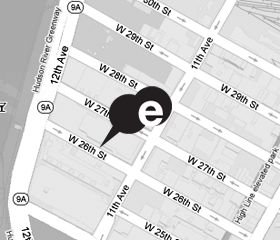 The gallery hosts exhibitions by major contemporary artists including David Lynch, Mary Corse and James Turrell.